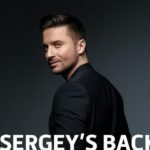 Sergey Lazarev through a post on his instagram account announced that tomorrow Saturday, March 9 at 17:00 CET his Eurovision entry will go public , thanking the same time his creative team. Sergey Lazarev isn’t returning alone but he is be back with the whole so called Dream Team that was behind his first Eurovision participation and entry You’re the only one. Namely, Philipp Kirkorov andDimitris Kontopoulos are signing the composition of the song, Fokas Evangelinos the staging while the man on the vocals will be one again Alex Panayi and behind the production Ilias Kokotos. Sergey gave credits to Moscow’s symphony orchestra which contributed in his song. As a closure to his post he mentioned the lyrics of his song entitled sream :Tears aren’t quiet things. 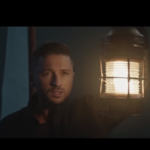 Sergey Lazarev participated for Russia at Eurovision 2016 in Stockholm with the entry You’re the only one and despite topping the televoting scoreboard he finished in the overall results in third place. Sergey Lazarev in his 35 has already released 6 album as a solo artist and has been touring successfully around Russia and the world. He is one of the most popular pop stars in his country and the ex Soviet Eastern bolck of countries.